Oil is where you find it, with many prospecting and production sites located where the communication options taken for granted in developed areas do not exist. Oil is big and serious business, with tremendous sums of money at risk on the prospect of reaping even greater returns. Every business operation, though, is of great importance to the stakeholders. Countless operations in little known industries and endeavors are located beyond the boundaries of modern communications infrastructure. If you want a data connection, bring your own. Remote operating sites, whether for oil extraction or other purposes, will often be automated. Some decision making system or individual is responsible for the safe and effective operation of the remote site, or has a use or need for real time data being gathered at the remote site. Radio transmission is a viable, maybe the best, option for delivering real time data from a remote site to a central office. Transmission options for 900 MHz, 2.4 GHz, cellular, and satellite systems are readily available. Equipment operates on low voltage, low power. Suitable for solar or other remote site power source. No special instrumentation needed. Radio transmitting and receiving equipment interfaces directly with analog signals from common industrial process transmitters. No "across the land" cabling needed. Equipment can be configured to resist extreme environmental conditions. Analynk manufactures transmission and receiving equipment that builds the bridge between remote sites and the home office. 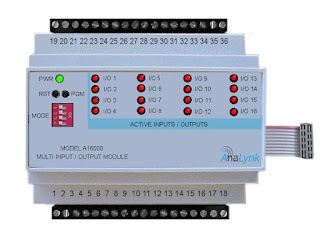 From elemental componentry to integrated, ready to run systems, Analynk specializes in wireless communications for industrial process control. Contact us with your wireless challenges. Whether an expansive multipoint, or a single point application, the specialists at Analynk can combine standard or customized products into a practical solution for every application. 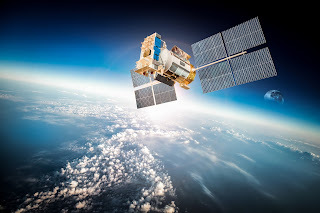 Radio frequency (RF) communications can enable the establishment or cost effective, quick, process signal connections across very small or very large distances. A misconception arises, from time to time, that it is necessary to have a dedicated transmitter and receiver for each process signal. Analynk has a solution that provides for delivery of up to sixteen process signals over a single transmission path. Wireless transmission of process control signals is steadily increasing in prevalence throughout commercial, institutional and industrial settings. The ease of implementation, with no long cable runs to plan, layout, install, protect, and maintain, allows wireless installations to fulfill application niches that may have been considered impractical in the past. 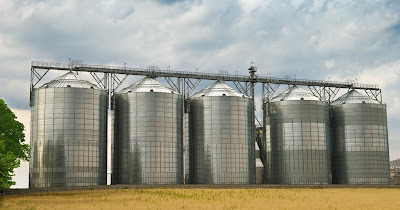 The grain industry serves as an example of industrial process control, where standards are maintained at a constant rate for product delivery. Automation in grain processing provides both safety and efficiency by supporting the product delivery process. Historically, the grain production process has been hazardous, with industry workers subject to harsh conditions and potential risks associated with the grain, such as flammable grain dust. The transition from manual labor to automation has become the industry’s essential shift, with automation now a staple in harvesting, milling, and handling grain. The developers of automation components seek to mitigate production ineffectiveness and inventory miscalculations. Solids level transmitters, responsible for continuously monitoring the amount of grain in potentially hazardous environments, are a reliable replacement for employees at a silo’s peak. Thanks to developments in technology, the implementation of sustainable automation does not need to come at the expense of company profit. A sole driver needs to control automation operations when dealing with grain handling, meaning that the number of employees put at risk via that stage in the process is substantially reduced. In order to keep track of inventory, automated management tracks not only the levels of grain inside silos but also where materials are located throughout the production facility. Grain sensors allow for the constant communication of how much grain is being moved through grain elevators and terminals. 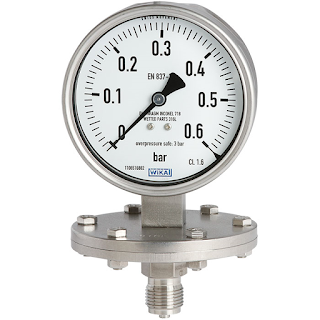 Instrumentation measures level, weight, and flow of solid grain while maintaining process protection. Grain terminals allow for grain to be unloaded into hoppers, and then conveyors transfer those hoppers to the elevators. Cleaning drying, and blending machinery all employ automation, reducing the risks presented to employees. Truck and rail load-outs need to be close to target levels, because overloading or under-loading transport results in product loss. Preventing the loss of time and physical resources is a key element of automation. Radar transmitters cut through dust in silos to deliver reliable information back to the process operators. Ultrasonic instrumentation matches with point level technology to indicate when grain levels are high or low. The handling and blending of raw materials can be monitored by solid flowmeters, with high accuracy still applicable in more compact spaces. A similar solid flowmeter ensures the accuracy of the flow rate and weight of solids measured in bulk, and can also be used in tandem with flow and weigh feeders to keep each individual load of grain consistently accurate. The applications of automation throughout the grain production process have evolved into a reliable means of reducing employee risk while ensuring accuracy and increasing throughput. Grain operations cover large areas. A reliable, flexible, and cost saving way to establish the needed process control connections throughout the facility is via industrial wireless. 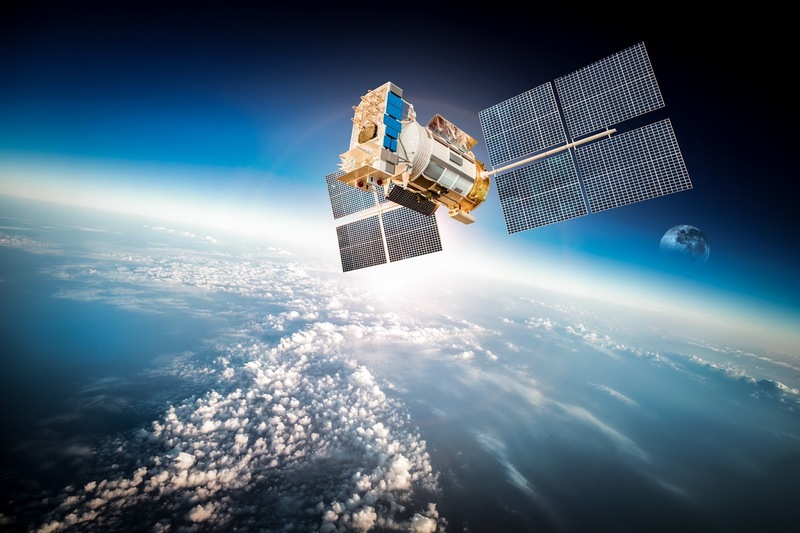 Connections between measurement instruments and control units can be created across very long distances without the need to install conduit and cabling. Connections can be created quickly and reliably, with flexibility to increase throughput as more stations or sensors are needed. Equipment is suitable for general or hazardous locations. Contact an industrial wireless communications expert for help in developing connections on your project. Pressure measurement is a common element of industrial operations and control systems. Fluid processing can often involve media that is potentially harmful to pressure sensing devices. The media may be corrosive to the sensor material, or other media properties may impact the performance or usable life of the instrument. In process control environments, diaphragm seals play a role in protecting items like pressure sensors from damage by process fluids. The diaphragm seal is a flexible membrane that seals across the connecting path to a sensor and isolates the sensor from the process media. System pressure crosses the barrier without inhibition, enabling accurate measurement, but the process fluid does not. Typical materials composing diaphragm seals are elastomers, with a wide variety of specific materials available to accommodate almost every application. There are numerous options and available diaphragm seal variants. Share your application specifics with a product specialist, combining your own process knowledge and experience with their product application expertise to develop an effective solution. Analynk Wireless manufactures industrial wireless communications equipment and process transmitters.